It started with 100% passionate and diligent. 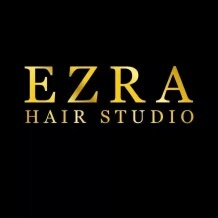 All service is guarantee satisfaction when you enter EZRA hair studio. Feel the luxury service with affordable price. From straightening – perm – cutting – colouring. Welcome and feel the difference when you exit. The relaxed yet sophisticated atmosphere at EZRA Hair Studio merges seamlessly with our open style outlook, offering the consummate mind and body experience. Enter the world of EZRA, lay back – relaxed with our new head spa invention. Call us today and make an appointment: you’ll get a free hair consultation, a world-class haircut (by any standards), and one of the best “hair days” of your life! Committed to providing you with an amazing experience as we are about catering to your own individual mode of expression. Our dynamic styling takes extreme pride in making each client look and feel his or her best through in-depth consultations and unmatched cutting and colouring techniques.